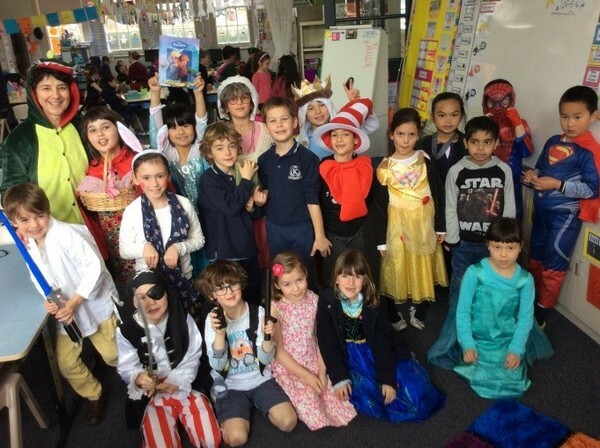 We have just finished my favourite week of the Library year – Book Week. This is a time to celebrate Australian authors and illustrators for children, as well as all the books we love. The Children’s Book Council of Australia awards prizes for the best books of the year. This year the Early Childhood category was won by Mr Huff by Anna Walker. 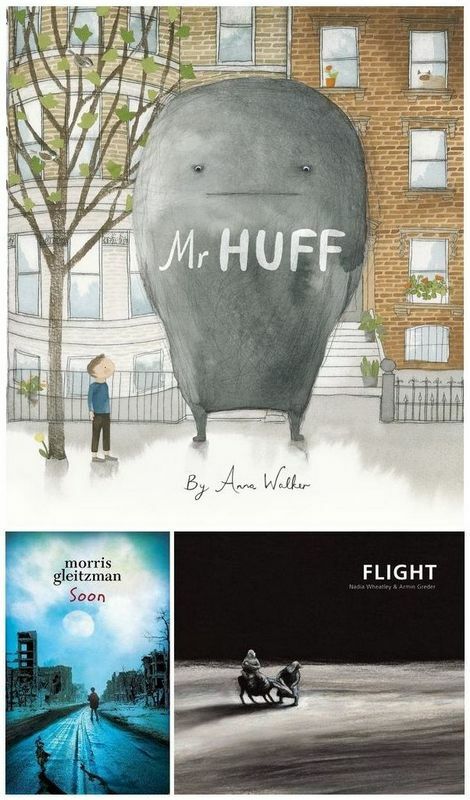 Mr Huff is a beautiful story about the happy and glum in each of our lives, told through the use of Mr Huff, a large, grey, hard-to-miss character that dominates a little boy’s day. It’s a sensitive, gentle story, and the character of Mr Huff is a useful starting point for a discussion about anxiety, simply because he is so marvellously visual. Other winners include Soon by Morris Gleitzman and Flight by Armin Greder. 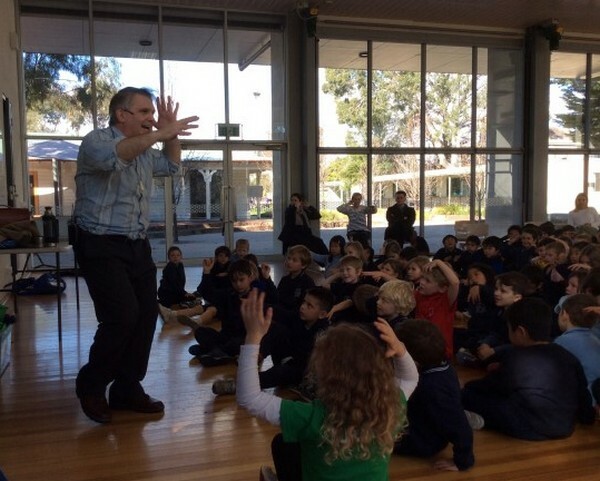 At Kew PS we celebrated Book Week with a visit from storyteller, Andy Wright. 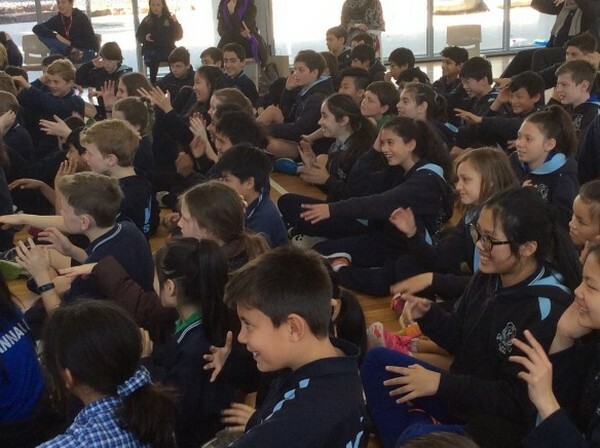 Andy entertained the students with stories from his childhood and taught them the meaning of the Haka, which they then performed. Of course we finished the week with the dress up parade. 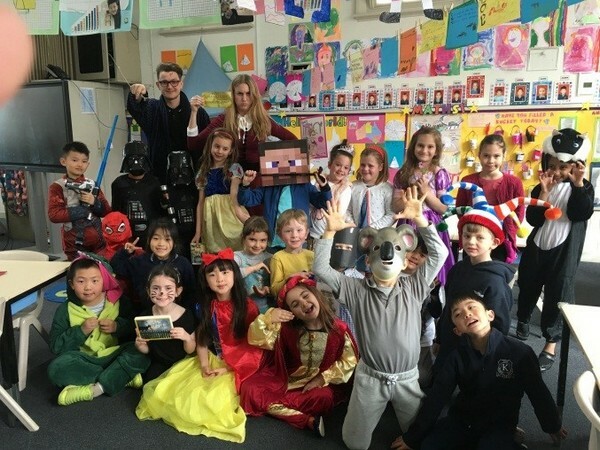 It is always so great to see the costumes the students create (and thank you to parents for your hard work). Book Week is one week a year – at Kew we want the students to enjoy quality literature every week of the year. Keep reading! 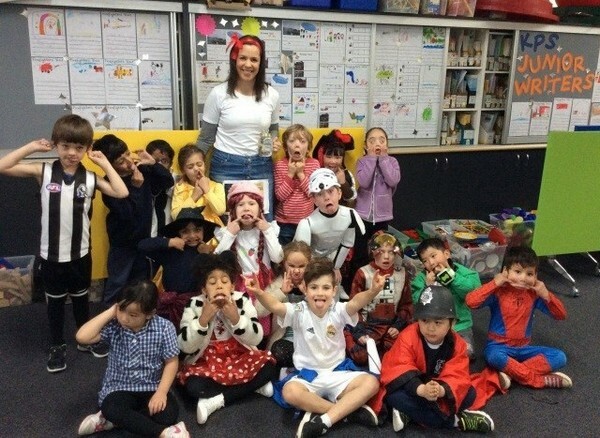 This entry was posted in Events and tagged Book Week, books, library by Kate W. Bookmark the permalink.